Rottenrow...(think there are some showing where the road is pot-holed). I also recently drove over a large pot hole (can't think where!) where the cobbles underneath were exposed. I'm sure I remember seeing St Vincent Street still fully cobbled when they were resurfacing it last year. 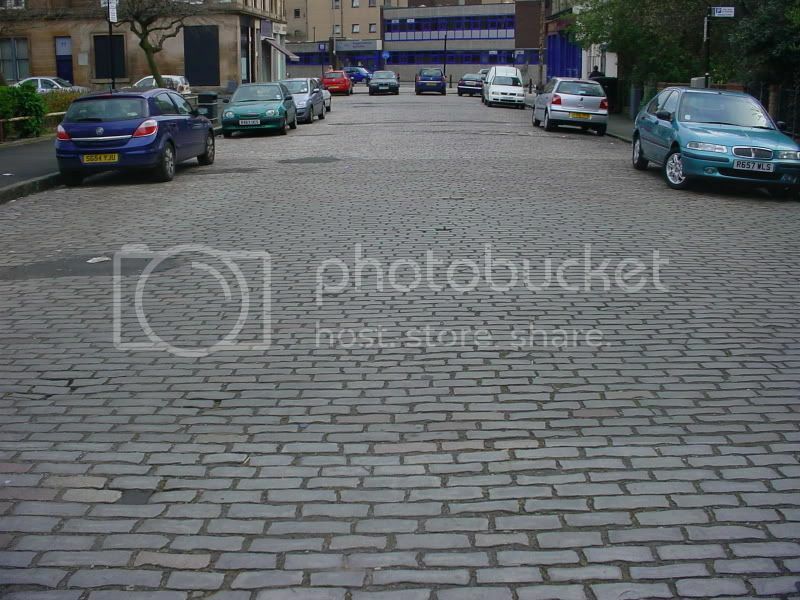 Not Glasgow but G81, Dunn St ., Dalmuir still has cobbles just before the tunnel entrance to Dalmuir Park. Walked past a length today - Napier Rd in Govan (not sure I'd want to get a camera out there). Murano Street, that runs up the side of Ruchill Park at the student village. It has a very thin layer of tarmac over the original cobbles, you can still see them at the edges just before the kerb starts. Very bumpy ride! lynnski wrote: Murano Street, that runs up the side of Ruchill Park at the student village. It has a very thin layer of tarmac over the original cobbles, you can still see them at the edges just before the kerb starts. Very bumpy ride! I don't live up that way anymore GK, but I still have pals up there, I'll see if we can't get you a piccy or two. 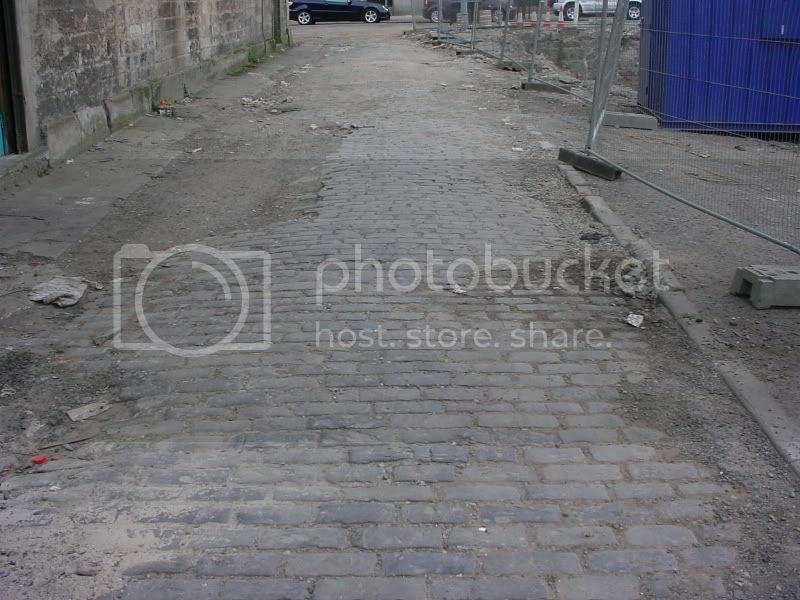 I'll have to get that wee lane next to Anniesland Station, it still has the cart stones as well as cobbles. I heart cobbles I do me.